Here is an article I wrote for Okanagan Health Magazine and for Trifecta in Calgary, Alberta. How does this resonate with you? I tend to hear, feel and even see music everywhere. Being a musician, I am admittedly a little biased, but, come to think of it, we all are––musicians, that is. We hum, we whistle, we sing and swing. Our everyday vocabulary is infused with musical terms: we resonate with people, things strike a chord, we feel upbeat or downbeat, we act in concert and on and on it goes. More importantly, we have within us two immensely powerful instruments, the brain and the heart. The brain is the keyboard that plays the music our mind composes. The heart is the metronome that beats the rhythms of our emotions; the soundboard that amplifies the subtle music that plays within us. So, in effect, we have all we need to make beautiful music. Or do we? Are we really creating our music? And assuming we are, do we actually truly play it on the stage of everyday life? Hardly. The question then is: What does it take to become the composers and the conductors of a harmonious life symphony? Today and in three sequential articles, I’ll share with you a musical perspective on creating harmony within, expanding on insights I have gathered in my new book 7 Keys to Serenity. In fact, I would like to invite you to imagine being the conductor of a huge orchestra, an ensemble that counts trillions of musicians who play the sacred music of your life: your cells. To be that conductor, you’ll need to cultivate the art of listening, which is precisely what my first key, A, stands for: Awareness. 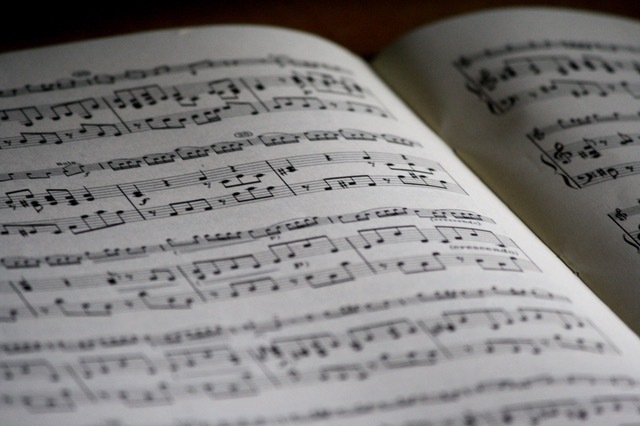 It is the master key that opens all doors or, to stay in our musical analogy, the note that is sounded before the concert begins, bringing all instruments of the orchestra to play in complete connectedness around one standard frequency––in the Western music system, that is. But how exactly do we define awareness on the stage of life? No doubt we all experience on a daily basis the symptoms of its deficiency: the eye glasses or the car keys we desperately look for, our vehicle itself we spend a frustrating amount of time locating in a busy parking lot; and on and on it goes. We simply don’t pay attention. We often speak about mindfulness or consciousness. But awareness is much more. It involves intuition. Rather than a state of simple mental alertness, it is a balanced combination of mind and heart, a seamless integration of doing and being, of thinking and feeling our way through life. We might want to compare it to an embedded antenna that allows us to naturally and effortlessly scan our inner and outer environment, detecting the subtle variations that take place beyond the denseness of our five senses. So how exactly is awareness going to help us create this harmonious life symphony? First, rather ironically, we must create silence. We do this through deep breathing and pausing. Pauses help us create a few “intermissions” in our daily routine, during which we disengage and become the observer, looking at and listening to ourselves from way above, like a disembodied entity, an angel of sorts––often shaking our heads in disbelief, to be sure. We then come to realize how caught up we have become in the autopilot mode, driving our lives mindlessly like we tend to drive our cars. Awareness will help us align our thoughts, words and actions, creating in the process vibrations of similar frequencies and therefore overall coherence and clarity. Harmony in music is all about alignment, coherent and balanced combinations. And so it is in life. And yet, how often do our actions contradict our values? Incoherence leads to conflict, subtle as it is. Unbeknownst, we deplete our reservoir of internal life-energy by allowing what science calls “destructive interference” to take place. The result is dissonance, false notes and disempowerment. Awareness helps us to attune to our bodies and minds, to listen––like the conductor listens to his orchestra––to the subtle music they play, correcting and adjusting the volume and rhythm of our emotions. Our cells vibrate at different frequencies, according to which section (organ) of the body they are playing in. Yet, by nature, they all play together, in holistic coherence and connectedness, executing a symphony called homeostasis, a wonderfully balanced piece of music that keeps us well and alive. At one point or another, however, some of these cells may begin to play out of tune. If you, the conductor, don’t notice this discordance in time, the initial harmony might, over time, degenerate into a cacophony, creating a lack of ease and therefore dis-ease. Awareness empowers us to live in authenticity, to discover, accept and be who we truly are. To sing our own song. Life is an ongoing performance, yet, how often do we play music that does not really resonate in our hearts and souls? If we are not in accord with ourselves, if the music does not resonate with us, how can it possibly resonate with others? Awareness makes us realize the existence of the laws of attraction and resonance. Like attracts like. So, when we attune to a given thought frequency, we attract similar frequencies. In other words, you get what you think about. Although this sounds a bit clichéd, it is a very powerful universal law that needs to be kept in mind at all times. What we think, how we think, creates our reality. In the next issue of this magazine, we’ll examine an arena where awareness plays perhaps the most important role yet: our belief system, the matrix where our thoughts are created.